This 1835 mansion made with Italian marble has an eclectic collection of art and antiques from Europe. This jaw-dropping mansion is a throwback to the Raj era and the wealth of zamindars of that time. Made in 1835 with Italian marble by one of the richest merchants and landlords of Bengal— Raja Rajendra Mullick Bahadur, it drips gaudy decadence. With a medley collection of art and antiques like chandeliers, clocks, urns etc, the palace is more like a hotch-potch museum of paraphernalia collected over years. The things to look out for here is the lovely marble flooring, the the Belgian glass mirrors, rich wall panels, and some 70 works of art brought in 1830 from Europe (including a Rubens and some original Raja Ravi Varmas). There are guides who give a tour of the house, although some parts are still inhabited by the descendants of the original family and remain off-limits. You need special permission from the state board of tourism to get in. It’s open from 10am to 4pm on all days except Mondays and Thursdays. Read more about it here. 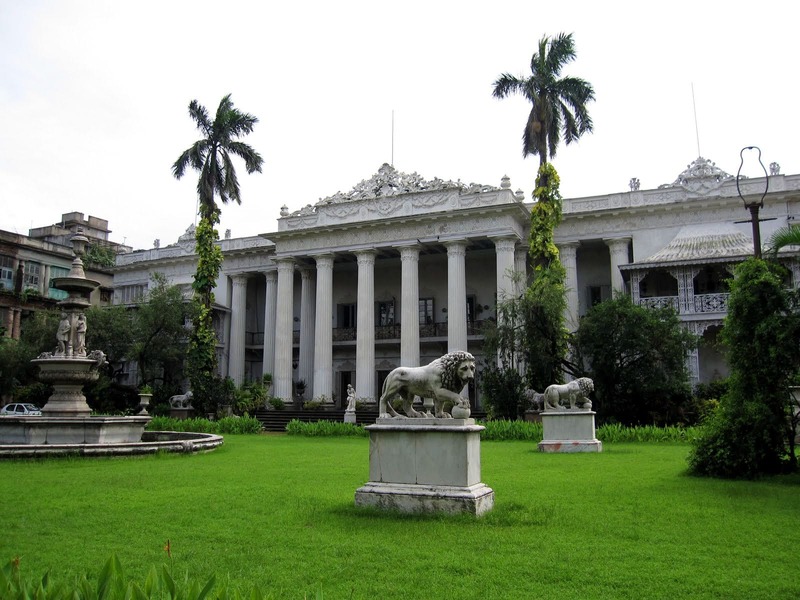 The palace is a private residence which is inhabited by the royal descendants of Raja Rajendra Mullick Bahadur. The entry to this place is free but it requires a special permit which is to be made 24 hours advanced from the West Bengal Tourism Information Bureau.